For active lifetsyles, business casual workplaces or sporting events, this custom long sleeve tee is an essential piece to keep you cool and comfortable throughout the whole day. 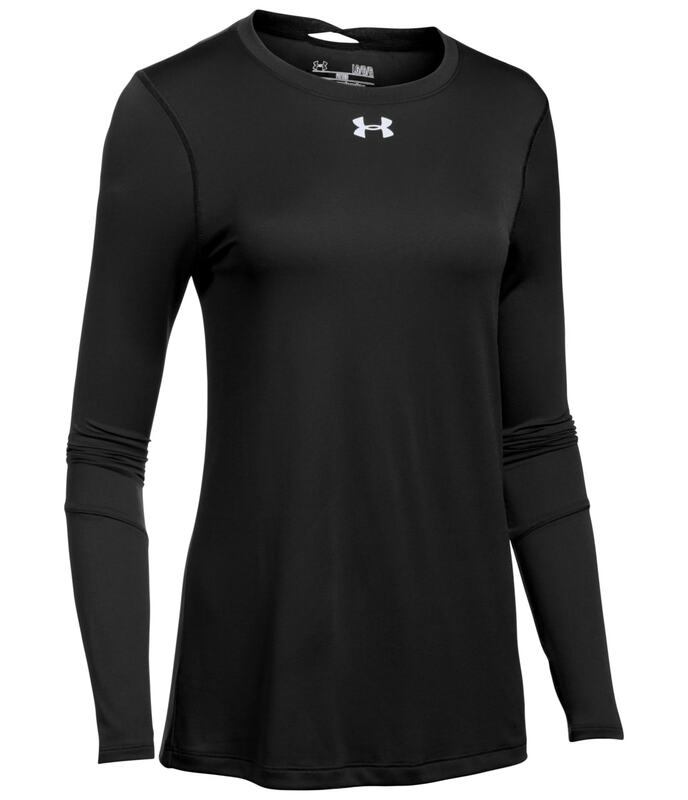 Made from 100% polyester, this custom long sleeve tee features UA Tech fabric that is quick drying, ultra soft and has a more natural feel and perfect canvas for your design. Four way stretch means more mobility and ultimate comfort throughout the day. With a more relaxed fit, this custom tee has integrated locker loop for lcoker room practicality and with moisture transport system wicks sweat and dries fast. UA logo located on top front chest and back neck.